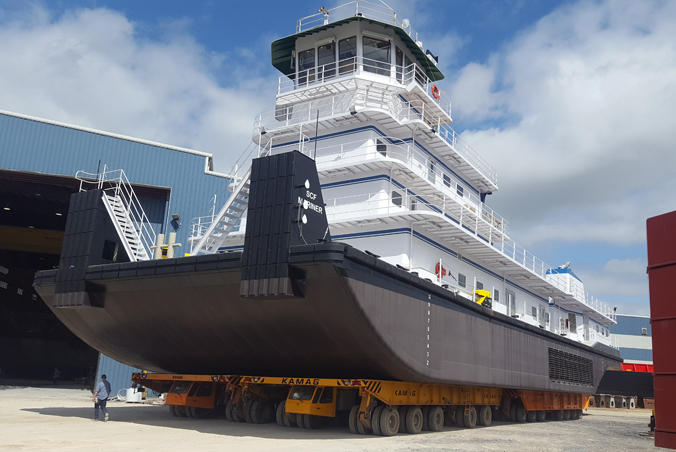 The four shipyard transporters were combined for a ship transport by customer C & C Marine. By combining several vehicles to one large unit, loads up to 15,000 tons can be transported. Precise steering and a hydraulic drive unit allow an accurate positioning.